Martin Tyler’s commentary for Liverpool’s goals is often so bland, it does our heads in. But today, the veteran commentator arrived with a reaction to Mo Salah’s goal that will likely become iconic. 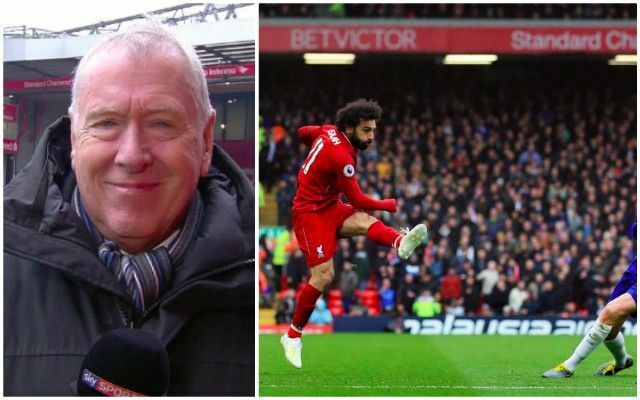 As the Egyptian King hit his jaw-dropping rocket, Tyler began screaming his name – and didn’t stop for about ten seconds – all while the no.11 was going crazy in front of the Kop. Jamie Carragher helped. If Liverpool go on to win the title, this moment will be played again, and again, and again! Spend a lot of time criticising him, but this commentary from Tyler is EPIC. Listen to it. Shivers down spine. Fair play.